In my little world, items like cream of tartar (potassium bitartrate) are not simply a super way to stabilize egg whites but also scandalously inexpensive cleaning secrets. This long-forgotten gem of a cleaning agent may be used with a little water or vinegar to lift even the most stubborn stains. Unattractive grout driving you batty? Mold and mildew stains got you reaching for the Prozac? Burner pans and casserole dishes giving you fits? Cream of Tartar is your new best friend. How about a porcelain sink, tub, bathroom faucet, or commode? Rub the porcelain surfaces with cream of tartar and watch the stains disappear. Please pass these recipes to your friends. They really are wonderfully easy and inexpensive. 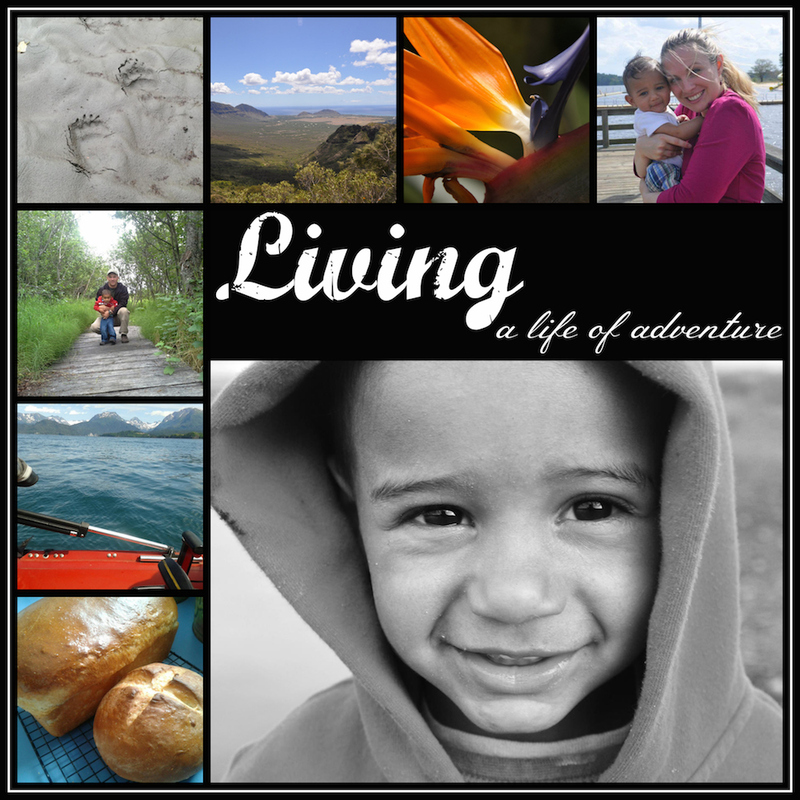 And while we’re chatting…. what stain is currently plaguing your happy home? What stubborn stain taunts your cleaning efforts by refusing to surrender? Want to know more about cream of tartar? Click here. Barb - Well Lacy, I knew about the copper kettle, as I’ve done that over the years, but the others? And tile grout? Just may have to give it a try tomorrow! Meadowlark - Holy cow!!!!! I never knew. Thanks so much, I’ll have to clean something today. 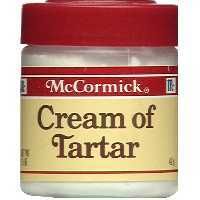 Ashley - Honestly cream of Tartar- where have you been all my life? I thought you only made snickerdoodles and play-dough…. Heidi - Thank you! This amazing mixture is working on the cuffs of my husband’s work shirts. Stephen - I’ve seriously burnt apples/ while making apple sauce/ in a magnolite aluminum pan. How much cream of tartar would I have to use to get the blasted stuff off one of my favorite pans? You could email me back if you have an answer to the question. Celeste - I founbd the container pictured above which is a rather small size of cream of tartar. Anyone know where a larger size container could be found. Thanks I’m going to try these suggesions. Ashley - I had no idea about cleaning with cream of tartar!! I have some hard water stains that i am going to use it on and hope it dissolves them away!! We have brushed nickle faucets and its hard for me to come up with a non abrasive cleaner for them!! Sarah - Regarding where to buy larger jars of cream of tartar. Lisa Gaines - Hi. Found this from PInterest. I am curious about getting rid of mildew. I made a paste of equal parts COT and vinegar and put it on the mildew, waited 5 minutes and washed with warm soapy water. It didn’t seem to help much. Jane Ellenbergert - Back in the 50’s, my mom used Cream of Tarter a lot for laundry, etc.. Never knew until now that I found your site, exactly what she did with it and why. Jen - Thank you for this advice! I’m always looking for natural cleaners. They work so much better! Lynda Dalton - I was soaking a vintage tablecloth and didn’t realize that mold was growing on the bottom. I’ve used peroxide, cream of tartar and vinegar to try to remove the mold but nothing is working. Cathy - Borax and hot water, then scrub with a broom. 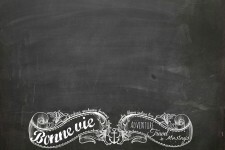 Or spray white vinegar, let sit 30 min., then wipe off with wet sponge. Asha - Thank you for this tip, I am just getting into homemade versions of soap, detergent etc so I’m very happy to find this blog (saw it on Pinterest by the way). We have mould that grows around our bedroom window that has been the bane of my life for the past 3 winters – I am attacking it with cream of tartar and see if it grows back! (will let you know). 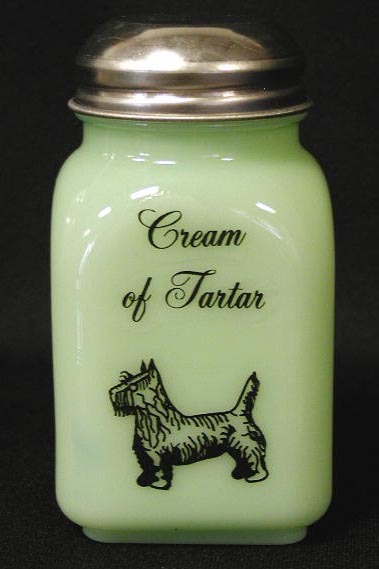 leigh - i dont know about anyone else…but cream of tarter is very expensive where i live…and buying it in bulk online is the same….does anyone have any ideas on how to buy it in quantity and not break the bank? i live in the US. and the stores only sell it in small quanitites in the baking isle…i would love to find some …thanks for your time and for the insight! It does work great! JC - I’m impressed..yes I did know that cream of tartar & baking soda were the ingredients in baking powder..to add to it…arrowroot for preserving if you make a lot..I usually only make enough for what I am baking at the time, but for those who don’t like to look for the measurements each time or like me keep them posted on the wall behind my mixer, keeping plenty made ahead on hand is good. Does this apply to acrylic tubs as well? Stella - GR8 info!!! I had a fire in my microwave oven and have black smoke marks. I’ve tried all the products I have. Any suggestions??? Do you have a natural recipe that would clean plastic cutting boards with deep cuts in them. The cuts have turned black and as far as I’m concerned, should not be used if they cannot be cleaned, I certainly wouldn’t want to eat anything that was prepared on them! Thank you so much for your time and consideration Barb. Clara - My worst problem at the moment is a three year old red wine stain that even the professional cleaners were unable to remove. Do you have any ideas? I’ve tried white wine, as well as anything else the professionals suggested (which didn’t work any better for them). Anyone know how to remove the oxidised marks from aluminium window frames on a 1970’s house? I just gave you some love on my latest blog post.